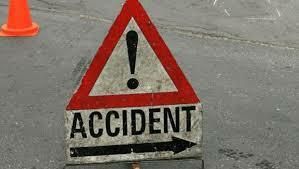 Three members of a family were killed in a road accident on Thursday. According to details, a speedy dumper hit a motorcycle on IJ Principal Road killing three people. Those killed were residents of Bangash Colony. They were identified as brother and sister and their mother. It is worth mentioning that IJ Principal Road is in dilapidated condition with cuts and deep ditches all over and heavy traffic including containers and dumpers drive in speed as no separate lane is reserved for them. Despite many news stories in the print media about the poor condition of the road, the CDA is least perturbed over the situation.